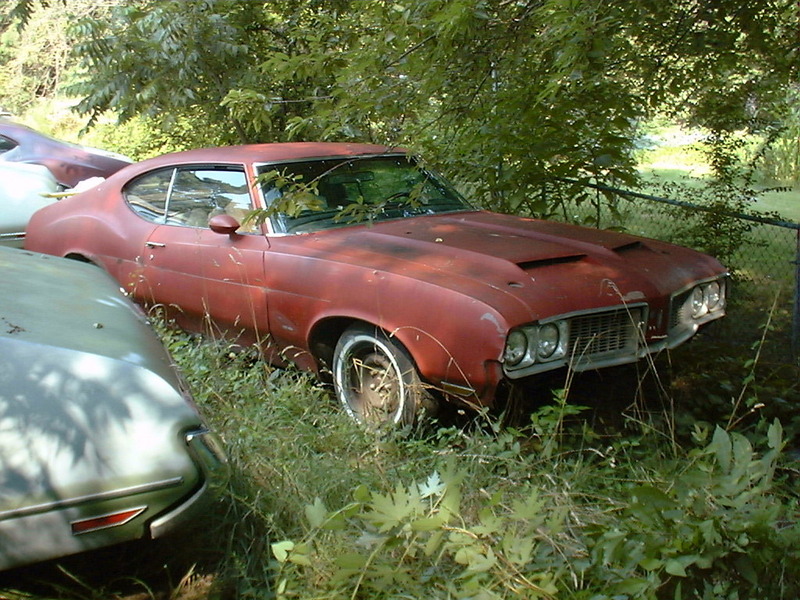 NO PICTURE YET 1970 Oldsmobile Cutlass S 2 door hardtop. This car has the rare W31 option. Also has buckets, console with dual gate shifter, PS, and standard 3.91 Anti-Spin rear as well as standard manual disc brakes. Originally Sherwood (dark) Green with Black stripes and interior. Project car! Good floors, bad 1/4s and front fenders. Wrong engine, bad tranmission (this one will NOT back up!) Look for a 'new' engine/trans installation and drag racing ~soon~!!!!! Not tagged.